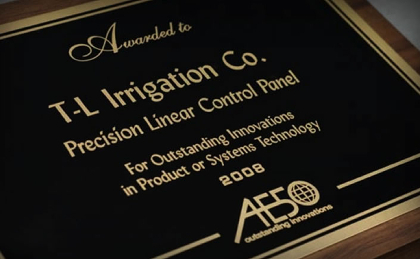 The Precision Linear Control Panel from T-L Irrigation Co. and R&K Irrigation allows complete control of an operator’s linear irrigation system. Application rate can be varied by machine location in the field with three different rates, each in the forward and reverse directions. Combined with a hydrostatically powered linear-move irrigation system, the Precision Linear Control Panel achieves maximum water uniformity for the end user. Speed sensors in the hydraulic motors at each end tower provide the panel with real-time travel information to keep the speed of the linear constant for the specified application rate. Standard or metric units are selectable in the set-up to allow for worldwide usage.